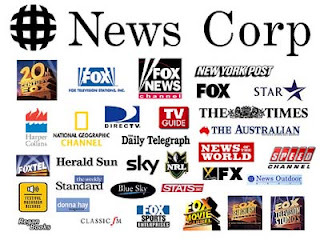 As the strange and compelling tale of Murdoch's Missing Management continues to play out, we are waiting to see who in the News Corporation food chain will end up being thrown to the legal, political and media lions. In the meantime, the stock market value of the Murdoch empire continues to rise, as shareholders support the idea that an explanatory conclusion is emerging. Once it does, stability will be restored along with profitability. At the same time, questions about the continued suitability of the Murdoch family as stewards of the business also begin to surface. One aspect that hasn't been discussed is how News Corporation overplayed its hand editorially speaking by its constant and obsessional playing of the story that Britain is being overrun by sexual predators and that the government must do something about this. This is a classical example of creating an environment of moral panic. Moral panic was first defined as by Stanley Cohen, in his work, Folk Devils and Moral Panics. (1987). He said that it is a sporadic episode which, as it occurs, subjects society to bouts of worry about the values and principles which society upholds and which may be in jeopardy. He describes its characteristics as "a condition, episode, person or group of persons [who] become defined as a threat to societal values and interests." The media often engages in bouts of moral panic when they go on crusades to clean up crime, government waste or other such concerns around which the public can rally. And not co-incidentally, see the media as their protectors. Murdoch's media outlets have been beating this drum around sexual predators in the UK for a number of years.This, in spite of the fact that the reported crime rate for sexual offenses has remained stable and even gone into a slight decline over the past ten years, according to Home Office statistics. Other media in other countries have also indulged in this, including Australia and Canada where crime rates have fallen, yet crime reporting continues to climb. News Corp has shown itself to be adept at manipulating public opinion, by needlessly hyping public concerns to drive up ratings and circulation. At the same time, media induced moral panic pushes public opinion to the right. It then is no accident that collusion between the media and government result in a position of mutual benefit: more crime reporting = more social anxiety = more conservative voters. And in the UK, it worked pretty well, until the News of the World hacked into Milly Dowler's cell phone. What would Sigmund Freud would think about all this? The connection: Elizabeth Murdoch, Rupert Murdoch's daughter is rumoured to be the heir-apparent to Rupert himself. She is married to Freud's great-grandson Mathew, the founder of Freud Communications. Mathew is not only the nephew of artist Lucian Freud (one of Freud's grandsons, who died this past week) but also related to Freud's nephew Edward Bernays, the father of public relations (the spin industry), a man who used Freud`s teachings to manipulate people and help corporations make fortunes, sometimes in rather sleazy ways. In light of all this, Freud might wonder about his legacy!